The 2018 Edition of Thunder at The Ville was nothing short of exciting as racers from all over the Northeast congregated to the Bullring of The Pocono’s. 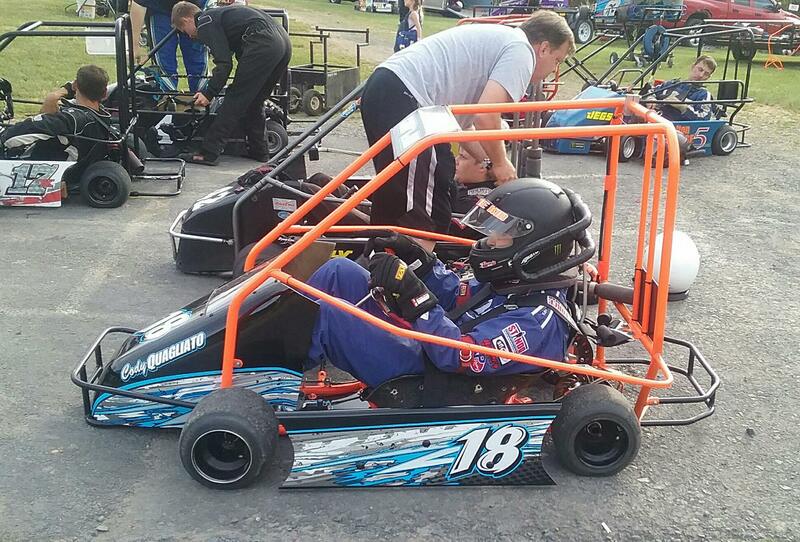 116 entries of Karts, Champs, Microstocks, and Slingshots filled the pits to the brim going after some cash, prizes, and contingencies offered up by the track and sponsors! The dynamic track surface provided by mother natures input gave us exciting side-by-side racing, slide jobs, rim riding around the track, and passing on the outside which is rarely seen at the flat 1/8 mile oval. We want to take a moment and Thank Everyone that supported our event this year and put on an exciting event as well as worked with the changing conditions. 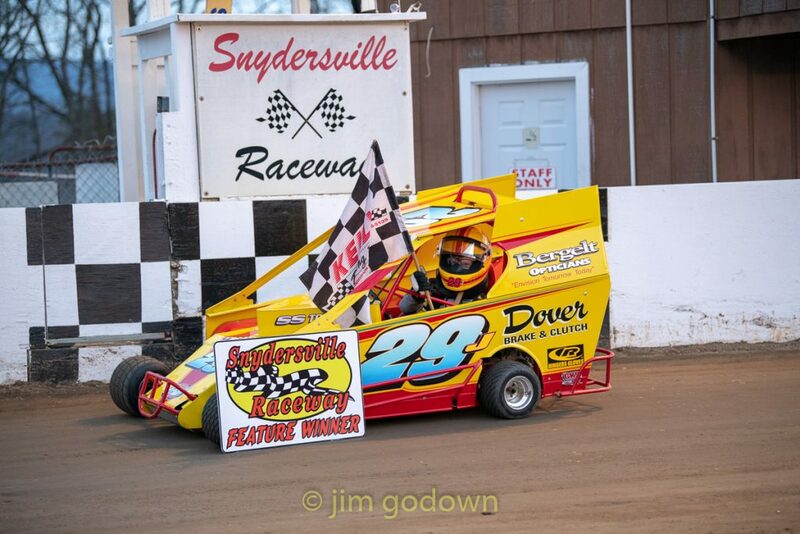 I want to thank all of our sponsors: Burris Racing, Sunoco Race Fuels, Carquest Auto Parts of Brodheadsville & Palmerton, APS Powder Coating, MHK Attorney’s, Dale’s Concessions, Greenzweig’s Kart Shop, Wicked Speed GraphX, Snap-On Tool by Ron Killmer Jr., Billy’s Body & Paint, Hillside Vinyl, Kevin Wieand Enterprises, S&S Speedways, Vena’s The Flag Store, NA Balliet Trucking Company, JC Specialty, Reading Escapades, Bloom Waldessori Play Space, Fuscia Dance Studio, In2You Arts, and Ed Stout. Without there contributions we could not give out the thousands of dollars of payout, prizes, and contingencies! Please make sure you go and support our sponsors as they supported you for this race! With 3 more races left in the season, we now look at who will be Crowned 2018 Track Champions in our awesome weekly divisions! Come on out gang and lay some laps at the fun and exciting Snydersville Raceway! Here is the results from the exciting afternoon of racing! 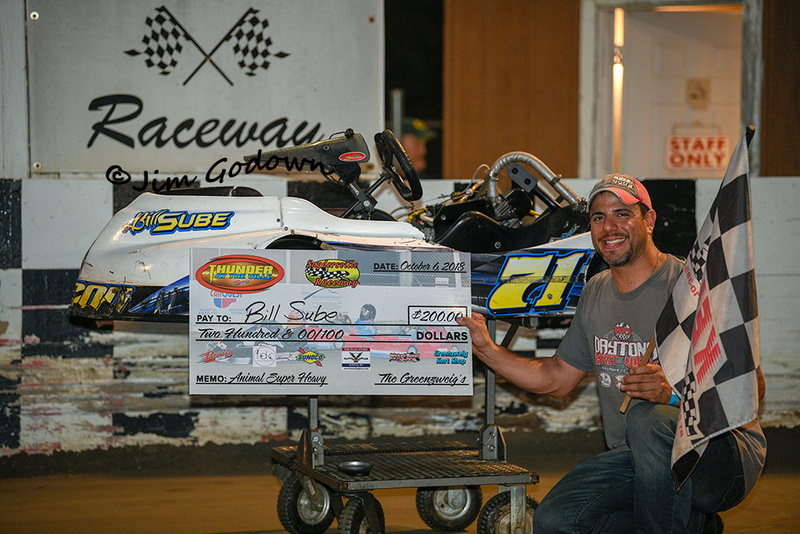 Tom Ervin dominates Microstock Racing League, Brandon Walsh pockets the win in the Jr. Sportsman Champ Money Race. Results from Friday, July 13. The racing was nothing short of exciting Friday as fifty cars duked it out for the win in the highly competitive classes. The night was filled with specialties as the Famed Checkered Flag Fan Club stopped in to give the feature winning CFFC members an embroidered jacket, plus 2 specialty races added to the cards. One of the specialty divisions on the evening, The Microstock Racing League, saw the 1994 and 2002 Snydersville Microstock champion Tom Ervin park it in victory lane at his old stomping grounds. Ervin led every lap of the feature and was fastest overall in the division. Jim Counterman finished runner up behind Ervin, and the Hard Charging Tyler Wagner rallied his way up to a third place finish. James Counterman Jr. put on a good run early but lost the third place spot on the last restart to finish in fourth, and Jeff Weinacker rounded out the top five in the MRL Tour. 6th- Noel Scheffen, 7th- Larry Ealey, 8th- Richard Ptaszynski, 9th- Keith Mellars, 10th- Bob Wagner. Brandon Walsh ran a flawless race in the Jr. Sportsman Champ Money Race holding off many the hard charging Jr. drivers to take home the $150 win. Defending Point Champion Cadence Freeman came up short at the finish line to get second. Tre Mammana showed a great deal of speed to take home a top three finish. After missing a few weeks, Ian McGuire drove his way to a solid fourth place finish and Griffin Hendershot struggled from front end damage to bring a top five finish. 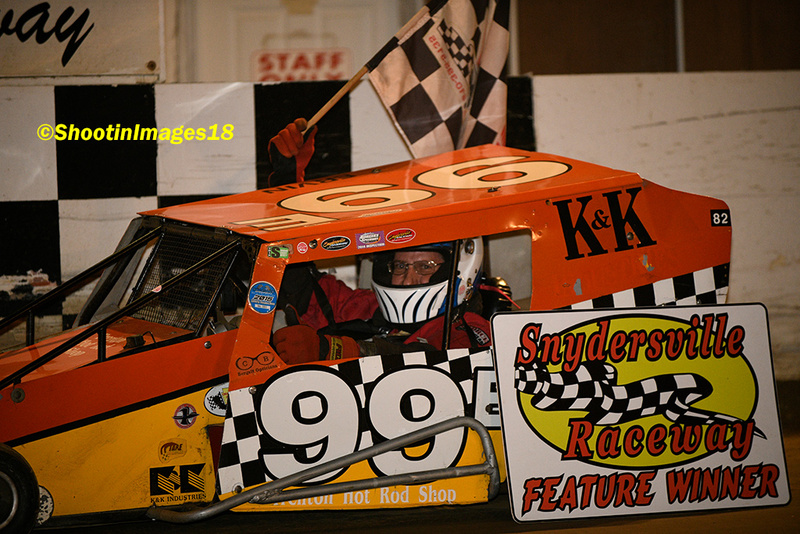 The racing action proved to be second to none Friday Night as each class came down to last lap. Forty-Five entries made up the 10 division night for The Ville as many drivers continue to wrack up the all valuable points. Also the Jr. Sportsman’s put on an exciting race with Jayce Brown taking the $150. Here is the results from Friday Night!